How to use Google Plus To Increase Brand Awareness Of The Business? This post offers some helpful tips on how to use Google Plus to increase brand awareness of the business. 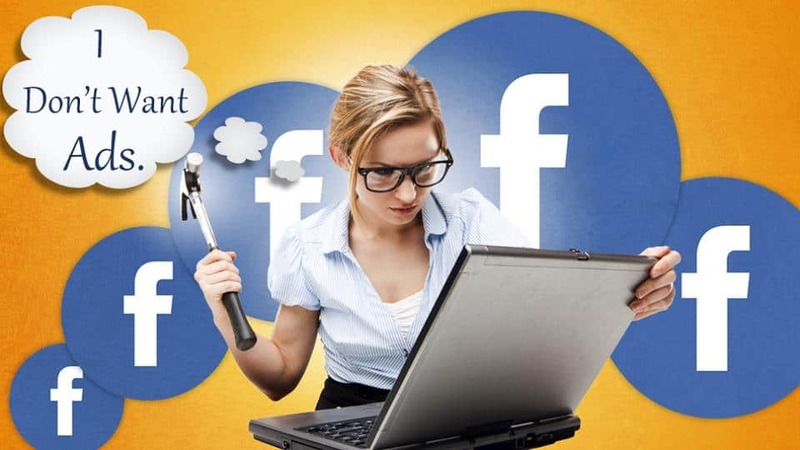 I am a part-time blogger but familiar with the importance of staying active in popular social networking sites. I like Google Plus the most, and I use it dynamically to network with other bloggers, offer quality content to my followers and apparently to promote my blog posts. My active social presence helps me to get good search engine rankings for my blog posts, and so I used to share my social strategies for my readers consistently. Few months back, I discussed some tips to build a memorable business brand through social media, and I received good response from my readers through comments and shares for that post. Some people have asked me to give the helpful tips to boost the brand awareness through Google Plus. So I took a chance on this post to offer some valuable Google Plus tips and if you’re a business, you could increase brand awareness with them. But, before getting into the topic, I want to exhibit some current key stats of Google Plus so that you could understand its status and use it effectually to grow your business. Google Plus is just two years old. With the +1 and Author Rank, it gets the influence of search engine rankings and hence it is widely used by content creators, webmasters and marketers to gain exposure and boost their brand awareness with it. According to the recent stats, Google Plus has more than 1 billion accounts till now, and monthly active users are about 540 million. Every month, nearly 8 lakh new users are signing up here, and almost 70% of business are using it to attain SEO and search ranking benefits. 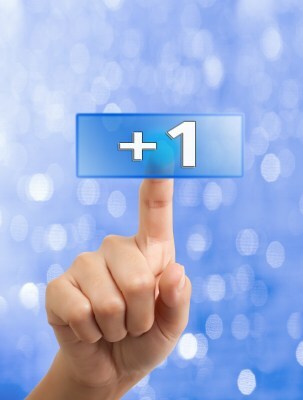 Furthermore, G+’s +1 is being used more than 5 billion times a day, and the growth rate of Google Plus is 33% per year. I am sure that you got amazed with this latest Google Plus stats, am I right? Now, let’s discuss some considerable reasons for using Google Plus to increase brand awareness of the business. Why Google Plus Is Needed To Increase Brand Awareness? 1. Search engines can measure the popularity of your G+ profile based on the amount of information gets shared with your brand and level of activities of that page. So, if your G+ profile has higher visibility, then it would lead to high SERP to your shared posts. 2. If your profile is public here, anyone can recommend your posts by giving +1, and it could be seen by the people in their circles and you’ll get new followers to enlarge your visibility. 3. Google+ Circles and Hangouts are the great tools to share the special offers/latest updates/new products to your followers effortlessly. There are many reasons, but I touched some key points in using Google Plus to enhance the brand awareness of the business. As the potential of G+ is getting advanced day by day, most of the brands are amusingly taking part here to increase their social presence. Escalating social existence with Google plus for business is good, but how to establish authority on it? Here are my beneficial Google plus tips to boost brand awareness that would aid you to grow as an expert in your business. “The more no. of Google + followers that I am having, the more I’ll be considered important by Google” Are you thinking so? If so, you’re wrong, and it is hard to get authoritative in the eyes of Google. Yes, it is not important that the no. of followers you have, it is about the attentive members who are ready to engage with your shared posts. So don’t follow the people just as they are following you. Every online business should have a blog to give consistent updates for their customers about their product/service, and apparently content is the king. If you’re an excellent content creator with in-depth information, you can quickly establish authority in Google Plus but you should be selective in sharing other’s content. Yeah, the less discrimination while sharing the posts in G+, the less weight of your share will be made by Google. Are you getting me? I am saying that it would be good to share the posts, according to the interest of your audience. The +1 button of G+ is more useful, and if you hit it, you’re authorizing that content of the post. It will be meaningless and seems even spam if you are endorsing everything. So, don’t randomly hit the +1 of your follower’s posts. Do read the content, estimate its value and then give your vote for it. Try to leave your meaningful comment on the post where you’re hitting the +1 of G+. Spark– It is a fantastic tool to find out and track everything about your fascinating content on Google Plus. Moreover, you can share your topics of interest to your friends circle. Ripples – Many Google Plus users are unaware of this beneficial feature that is hidden in the drop down menu of each post. If your post got shared by the people, it is possible to get the reshare details through a visual way with Ripples. You could also make use of it to find the leaders with big thoughts and influential in your business field. Making use of these tools will let to have a better understanding about Google plus, and it would increase your brand awareness. Mentions – You can see the “Mentions” tab on the top of Google Plus and if you click that tab to see the Google Plus posts where you’ve been tagged in. With this useful feature, you can respond to the users whom they’ve mentioned you on Google Plus. While creating content for your business, if you’re including any reference link from a high authority site, try to find the Google Plus profile of that author and add it. This is Google Plus profile citation and this will create back-link to their G+ profile. After publishing the post, share it in G+ by mentioning the author whom you’ve linked and they’ll get notification. Then they might appreciate you and share your post on their network to reach broader audience. This is better than ping-back method as you’re adding high authority Google Plus profile to your content and marketing that attribution. To get good authority in your niche, it is good to make relationship with the like-minded spectators and this could be attained by using communities and hangouts of Google plus. Creating communities (social groups) based on specific interest and engaging with them live through hangouts would help you to obtain more interaction with the concurring people and hence increase brand awareness. Google+ has integrated with Gmail, YouTube, and Google Drive and so you’ll get the opportunity to show the market that you have a brand that booms on many levels for your entire operations with a unique format. Like Facebook and Twitter, Google Plus posts can be embedded on your webpage. By highlighting your informative post shared on Google Plus along with your interesting conversation with audience, your brand reliability will be visible to your visitors. As commenting on other web pages is an effective way to build relationship with your link prospectus, add your Google plus profile page instead of your business webpage in leading websites related to your field. As it emphasis more on building a connection rather than link building, you’ll get good prestige from the visitors and site owner and they’ll add you in their Google plus circles which would expand your brand awareness. The more people comment and endorse your work, the more you are considering as an expert in the physical world, right? Likewise, the more people engage on your Google Plus posts, the more you’re consider authoritative by Google. Subsequently, Google Plus is the fastest growing social networking site which is widely used by both B2B and B2C marketers and so it can be a great place to build the brand and market the business. Having complete G+ profile, Growing G+ circle, Getting Google Authorship, sharing innovative data for followers, taking part in some relevant Google Plus communities and including keywords & hash tags in G+ posts are the basic things to be accomplished in Google Plus by a business. But I hope my helpful tips on how to use Google plus would help you to increase brand awareness of your business. I am not a Google Plus expert but am involving more in that to get a good exposure for my blog and to stay respected in the eyes of Google. I just shared some useful tips on Google plus for you to improve your brand image. What do you think about the tips? Are they beneficial? I would like to hear your voice in the form of comments, so please make use of the comment section to discuss with me. In case, If I missed any valid way to increase brand awareness of a business through Google Plus, let me know and so that my beloved readers will get profited with your suggestion. How to remove ads on Facebook? I agree with you Nirmala. Especially I have seen the more +1 and followers we have in Google Plus the chances are that our posts are ranked better in SERP. Not only that when we have a loyal community built out in Google + our content becomes more authoritative through the shares that we get from G+ Circle. You came up with another fantastic blog post. Google Plus is becoming very popular now a days. Bloggers,internet marketers,entrepreneur are joining it for promote their products/services. By personal experience, I’ve found Google Plus to be a great social platform. I still spend a little bit of time on Facebook, but Google Plus continues to get more of my attention as time has gone on. Thanks for leaving your appreciating comment Rajesh. Yes, spending quality time on Google plus would let us to meet lot of benefits and i am experiencing it. Stay tuned to share your helpful thoughts. Thanks for the overview and breakdown on how to leverage Google +. I admit, the tasks you outlined seem a bit daunting. I just signed up for a HubSpot trial offer and am looking at other applications such as HootSuite or even completely outsourcing my social media endeavors. Perhaps this will help. My Google + followers are rapidly increasing but it’s not the number, it’s the quality, right? Question: If you have thousands of followers, how do you engage with some percentage of them regularly without having hours of your time taken up? Any tips/suggestions are highly appreciated! 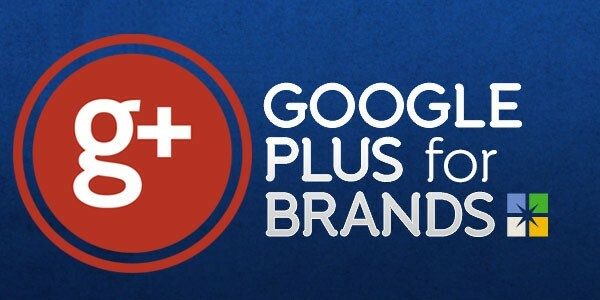 It’s really a useful post about Google plus branding, again from your blog. I must say, If your content is fabulous then, no one can stop you to establish branding in google plus. I don’t want to say, other ways are not good. They are superb, no doubt at al! Yeah Vivek, sharing valuable post for the followers would let you to increase your brand awareness and so spending quality time in Google plus is essential for a business. Thanks for your positive comment, keep coming. Google plus is surely a powerful tool for bloggers and internet marketers. Many people used to spend time on facebook but if we invest our time on G+ then we can take more advantages as you have mentioned in your post. I was totally unaware with Spark and Ripples. I will be waiting for your post about these topics and will start using it too. Thanks for sharing awesome and informative post. Your comment made my day bro, thanks for your inspiring comment. Yes, sure! I’ll write about the useful Google Plus tools in my upcoming posts in detail, stay tuned. Yes, you are right. Google plus is really tool to increase brand awareness. I am using Google plus to increase my blog visitors, ranking, +1s. etc.. Your content is really good & fabulous and I can’t stop myself to share this post with my friends.. Yet another awesome post by you Nirmala ma’am. Google+ is of course one of the best social platforms for bloggers and business owners to get traffic and sales to their product. Some of my FB friends said that Google+ is well suitable for affiliate marketing and online conversations as it’s users are well engaging with those type of posts. And my pal Ankit Singla earned $100+ by Bluehost affiliate marketing through G+. I’ll surely follow your tips and the main problem is, I sometimes click +1 button for posts that are not related anyway to my niche. Is that really a problem? I think +1 button was really created to be used when someone liked the content in the page. What do you say? I think those who don’t take advantage of G+ power simply lose and lose it big. That’s because G+ offer many benefits, from fast indexing to ranking signals. I too recommend everyone use G+, create a G+ page for you business to increase brand awareness and gain higher rankings. I would say that you’re missing the benefits of Google Plus Dhiraj and so am suggesting you to stay active over there. Glad you’ve learned about Spark and Ripples here, stay tuned to know more useful Google Plus tools from my upcoming posts. No doubt, google+ is really a great place to share content and get publicity and at the same time we should also take care about the point that you have mention above i.e #1, #3, #4, #8 at highest priority since I personally think that its a primary steps and rest can latter on. What you say? Completely agree with you, and a great post again! Mam i always believe to make most from social media. Facebook is good but i believe G+ is an important thing to make your social presence and brand awareness to people out there. Thanks for sharing your thoughts here and I just visited your blog, it is good. Try to write in-depth posts which would help to get some love from both readers and search engines. Keep visiting here to read some tech & social stuffs and to leave your valuable thoughts. Thanks for sharing..! I heard a lot about the important of Google+ but I think that I am none active one with that social media network. I wish to be more active one there..! It is really important for a blogger to stay active in Google Plus to get its benefits. So I suggest you to take part there and increase your online presence. Good article Nirmala. I have been active on FB alone but need to start researching Google plus sharing in this aspect as well. I recommend you to stay active to get lot of benefits and good social presence. 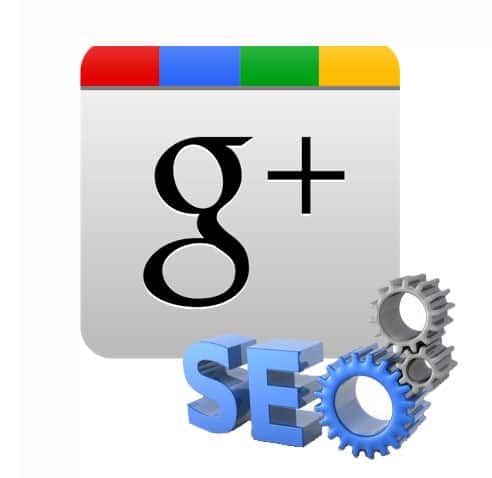 I agree with your opinion mam, that Google plus is pretty good tools for every business as well as to every bloggers. Not only increase authority but also increase traffic. Really its very important tools to increase brand. Thank you Mam for sharing this information. I agree with oyu. Google plus is a great website for SEO, traffic, and awareness. Post shares on google plus index much faster than regular indexing by google. It helps you to ranked in search engines also. Google plus have many benefits for businesses. Great article and I have shared this in my twitter and g+accounts. Thank you for this excellent information! I have been considering utilizing Google plus, and I am now wondering why I waited so long. It simply seems like an excellent way of connecting with everything else and providing excellent all-around exposure. Google plus is awesome tool to get traffic and make money online. Because its search friendly for each posts. I have made $235 with the help of Google+. Glad that you’ve earned some dough with Google plus and keep sharing your experiences here. Great post on Google+. I loved all the tips but I liked the most which was about citation. It can work definitely. P.S. You are getting a number of comments on all the posts. Just saw last post on your blog got around 90 comments. Truly amazing. Keep up the good work.. I am delighted to read your comment which says that you’ve loved my tips Sarah and yes, it works. thanks for share wonderful article, after reading your article i find that it is more helpful for making more money, going to use your idea. Thanks for this wonderful article, wow, never knew we could use google+ to brand our business online. Thanks for your kind words Isaiah, cheers, you’ve lerarned something new from here! i was really unbelievable with your each updates.. this is quite impressive one.. thank you nirmala..once again. Yes in fact now a days Google plus is taking a Lead role to increase brand awareness of the industry. Definitely i will also use your idea. Nice post on Google+. It is certainly the best place to share the post because it gives good referral traffic as well influence the SERP as well. The stats are really impressive. As you work most on Google Plus and I thought to get opinion from you about this post. Glad you’ve impressed with the Stats of G+ and thanks for sharing your point of views about this giant social networking site. Thanks for sharing your valuable insights. We just started using Google+ about a month ago, and it was a great decision. We will try to optimize our success by trying out the tools you listed. It is good to know that you’ve started to use Google Plus and gonna use some of its beneficial tools to optimize your success. Keep visiting here to read some more info. on G+ through my upcoming posts. I do agree with you. Google Plus helps to enhance the brand value. So we need to optimize our pages so that it gets higher visibility. Thanks Nirmala, I will follow the steps you have mentioned in order to enhance the brand value. Cheers you’re gonna follow my Google Plus tips to enhance your brand name. Keep visiting to learn new stuffs. Google plus works very well and it bis one of the social sites where you will find serious people who mean business. this means if you catch them then branding to you will be an easy game. Thanks for the good tips there. Thanks for adding your views to this post Fredy, you’re welcome here to leave your thoughts! I will try to implement your tips to increase brand awareness of the business.I love the worthwhile information which you discussed in your post. I’ll bookmark your blog and investigate yet again listed here recurrently.I’m quite convinced I will be taught quite a bit of recent stuff perfect right here! Excellent luck for the subsequent! Glad you’ve decided to implement my tips and bookmark my blog. I love Google Plus the most and I stay active over there. Thus finding some new stuffs to execute and sharing them to my readers. Thanks for visiting! I agree with you Nirmala. Especially I have seen the more +1 and followers we have in Google Plus the chances are that our posts are ranked better in SERP. Yeah, it is somewhat true Charlie. Getting more G+ signals doesn’t mean that you’ll get good SERP but it would help to improve your authority. Thanks for showing your presence, keep coming! I am welcoming you here Divya, thanks for leaving your opinions on Google Plus. Hope my tips would help you to increase your blog’s brand name, keep coming to know some interesting Google Plus stuffs. i agree with your points Nirmala.Among all social media Google plus is one of the best which playing the main part in the brand promoting. Mainly the content is playing the important thing we have to focus to. It will help to increase the traffic. Thank you for this post nirmala!!! Thanks for accepting my views on Google Plus Shiwani and yes, it help us to drive referral traffic to our blog. This is highly useful information, especially about exactly how to submit new content. I normally just submit the link without any description but now I will pay attention to this. Generating a unique google link in order to track it is also a new piece of information I have come across in this blog post. Thanks for your feedback and good to your thoughts on Google plus! Glad you’ve learned something new through my post, keep coming! As far I am concerned about increasing the brand awareness depends mostly on how you present it among the people over social media as more and more people nowadays uses the social media most. You’re exact Atul!, Most of the people use Social media to connect with their favourite brand. Yes, the way we present and what we are presenting matter a lot to advance our brand name.